UP Chief Minister Yogi Adityanath moved 41 senior officers and brought in new faces. 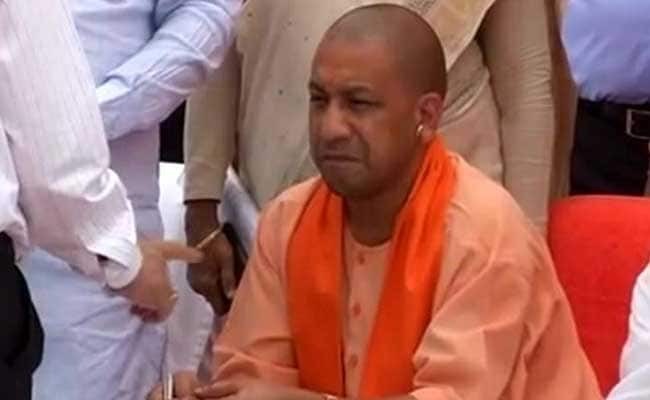 Lucknow: On a day he completed a month in office, Uttar Pradesh Chief Minister Yogi Adityanath on Tuesday carried out his biggest bureaucratic rejig that moved 41 senior officers and brought in new faces to head four development authorities including the one in Prime Minister's parliamentary constituency, Varanasi. This is Mr Adityanath's second reshuffle; the last one involved 21 officers. Tuesday's reshuffle was much bigger. But by Uttar Pradesh's standards, it was a small reshuffle. In 2007, Chief Minister Mayawati had transferred over 97 officers within hours of taking charge and then some more a few days later. Five years later, it was Akhilesh Yadav's turn. He took a few days to get started but within his first month, Akhilesh Yadav had transferred close to a 1,000 administrative and police officers. Each time, the idea was to kick out bureaucrats with plum postings in the previous regime to non-descript posts and locations, and bring in their trusted men, and women. It is something Yogi Adityanath had declared right in the beginning he would not do. The bureaucracy will deliver what the political leadership wants, he said in one of his interviews, pointing that the previous regime may not have got the officials to deliver because they had a different priority list. "My job is to ensure the implementation of my party's manifesto," he said. This, however, didn't mean that he wasn't going to move them around. He would, and has, but officials suggest the objective was to place bureaucrats in line with their abilities. On Tuesday, Mr Adityanath appointed District Magistrates of six districts including one for Gorakhpur, his home district. Uttar Pradesh has about 75 districts. He also posted Pulkit Khare as vice chairman of Varanasi Development Authority, Kanchan Verma as Vice Chairman of the Ghaziabad Development Authority, Prabhat Kumar, the former Resident Commissioner of Uttar Pradesh in New Delhi, as Meerut divisional commissioner and chairman of the Greater Noida Authority chairman and Yamuna Expressway Industrial Development Authority.